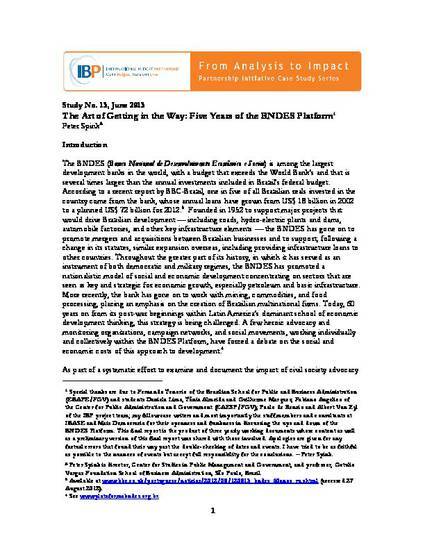 When a coalition of civil society organizations began to pry into the finances of Brazil’s powerful national development bank, it challenged the status quo and advanced the call for a more transparent, balanced, and democratic economic policy. The short summary and full version of this case study are available in English. The short summary case study is available in French and Spanish.